Allyn Robinson celebrated his 41st consecutive year at the New Orleans Jazz & Heritage Festival playing with Luther Kent & Trick Bag on Friday, April 27, 2018! Luther Kent & Trick Bag kicked off the 1st Weekend on Friday April 27, 2018. Allyn will be bringing his program entitled, "The Evolution of New Orleans Drumming" to St. Charles Parish�s Luling Elementary, in February 2018. Beginning with the Original Brass Bands circa 1870, Allyn will provide the students a musical primer on the history of New Orleans drumming, demonstrating various styles essential to the history of New Orleans. Allyn also pays tribute to some of New Orleans' legendary drummers, including Warren "Baby" Dodds, Earl Palmer and Joseph "Zigaboo" Modeliste. Allyn presented his program in 2017 and the students loved it! Back by popular demand!! Click here to see Allyn�s program from his Gretna Middle School Concert and Clinic. For more information about lessons, clinics and lectures, check out Allyn's Education Page. We are incredibly excited to announce that The Allyn Robinson Project will be making its French Quarter Festival debut on Friday April 8th on the Abita Beer Stage from 11:00 AM to 12:15 PM! The free festival opens on Thursday, April 7, and continues through Sunday, April 10. Performances will take place on 23 stages in Woldenberg Park, Spanish Plaza and throughout the French Quarter in New Orleans. If the weather is favorable, overall attendance is expected to be in the hundreds of thousands! 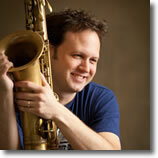 Allyn will be bringing his 16-piece big band to feature his current CD, Dreams Realized, My Life In Music! The Allyn Robinson Project includes some of New Orleans' finest musicians playing a high-powered mix of New Orleans infused Jazz. Allyn will be showcasing some of New Orleans signature grooves and as he pays tribute to the evolution of New Orleans Jazz and R&B. With a mix of original tunes and new arrangements of classics by Jaco Pastorius, Willie Tee, The Gaturs, Dizzy Gillespie and Wayne Cochran and The C.C. Riders, Allyn will take the audience on a musical journey across the threshold where jazz intersects with soul, funk and rhythm & blues. Allyn's current CD made OffBeat Magazine's Critics' Picks for 2013's Best Louisiana Music Albums and continues to receive critical praise! Click here to purchase the latest Allyn Robinson Project album on CD Baby! We are honored to announce the selection of the Marc Adams Band to play the French Quarter Festival on Sunday April 10th on the GE Capital Stage from 11:00 AM to 12:15 PM! Marc will be featuring the new CD he recorded with Allyn, Supervision Needed, from the Adams Robinson Project! The Marc Adams Band will bring together New Orleans legends Marc Adams and Allyn Robinson to feature a classic collection of soul, funk, R&B, and blues gems. Joining Marc and Allyn on stage will be John Fohl (Guitar), Chuck Archard (Bass) and Jason Mingledorff (Saxophones), with special guest appearance by John Burny Robinson (Bass). Get ready for a feel-good-hang with some of New Orleans finest musicians! Click here to check out the latest Adams Robinson Project CD! 1.19.16 New Orleans Jazz Festival with Luther Kent & Trick Bag May 1! Allyn Robinson will be celebrating his 39th Consecutive Year at The New Orleans Jazz & Heritage Festival playing with Luther Kent & Trick Bag on Sunday, May 1, 2016! Jazz Fest organizers recently announced the lineup for the 2016 Festival scheduled for April 22 to May 1, 2016. Luther Kent & Trick Bag will be kicking off the 2nd Weekend on Sunday May 1, 2016. The show times have not been released so stay tuned as information is updated. Make sure to mark your calendar and come on down for Allyn's 39th Year at the Jazz Fest! In the meantime, let's get the party started with Hey Pocky Way (click to watch) from Jazz Fest 2013. The Adams Robinson Project will be traveling to Rollins College in Orlando Florida to celebrate the music of New Orleans and their New CD, Supervision Needed, with a live concert on Saturday March 12! Legendary keyboardist and vocalist, Marc Adams, and drummer Allyn Robinson will be featuring a classic collection of New Orleans Soul, Funk, R&B, and Blues gems. Rounding out the Allstars will be John Fohl on Guitar and Chuck Archard on Bass, with special guest appearances to be announced. Get ready for a feel-good-hang with some of New Orleans finest musicians! Use the links below to pick up the new CD! Click here to purchase from CD Baby! Click here to purchase from iTunes! Supervision Needed brings together New Orleans legends Marc Adams and Allyn Robinson for a long awaited project featuring a classic collection of soul, funk, R&B, and blues gems. Allyn and Marc have been working together for more than 30-years and the chemistry is clearly evident on this record. Providing additional supervision are: John Fohl (Guitar), Chuck Archard (Bass) and Jason Mingledorff (Saxophones), with special guest appearances by Colin Lake (Lap Steel Guitar), John Burny Robinson (Bass), Michael Skinkus (Percussion) and Eric Traub (Saxophone). This record developed from a series of Sunday jam sessions at Marc�s house, with the boys having a blast and throwing down some killer grooves! The result, a feel-good-hang with some of New Orleans' finest musicians. Sit back, hit "Play," and let your soul settle in! Click here to open the liner notes in a new window! 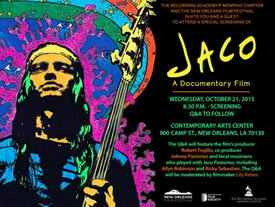 On October 21, Alan took part in a panel discussion centered around the new documentary, "Jaco." The event took place at the Contemporary Arts Center in New Orleans. Also taking part: Robert Trujillo, Johnny Pastorius, and Ricky Sebastian. The discussion was moderated by filmmaker Lily Keber. Allyn is excited to announce the release of the first video from his new CD, Dreams Realized, My Life In Music! 42 years after the original 1972 live recording with Jaco Pastorius on bass and Allyn on drums, Allyn entered the studio in New Orleans to record a heartfelt tribute to his dear friend and rhythm mate. "Amelia" was one of Jaco's first compositions recorded live in 1972 while he was playing with Wayne Cochran and The C.C. Riders. The live track was released on Punk Jazz: The Jaco Pastorius Anthology and Portrait of Jaco: The Early Years and offers a spirited glimpse into the chemistry between Allyn and Jaco at a very formative time in their musical careers. The "Amelia" video was shot at Axistudios in Metairie, Louisiana, and features a 15-piece big band. There are three burning solos by Bobby Campo, Rick Trolsen and Cranston Clements. The video provides an inside look at the power R&B groove reminiscent of the original nesting bed Allyn laid down in the early 1970s. Laced with his signature greasy ghost notes and nuanced use of space, Allyn lays down the quintessential Cochran-esque track for bassist Chuck Archard to bond with. From 1972 to 2014, the intensity remains and the spirit of Jaco is alive and well! Click here to purchase from iTunes! Click here to purchase from Amazon! Thank you for supporting independent music! Allyn was at Poor David's Pub in Dallas, Texas, for an incredible show with Luther Kent and The Forever Fabulous Chickenhawks. Founded in 1980, The Chickenhawks are perhaps the last and the best of an endangered breed, a 16 piece soul-blues-R&B powerhouse band with killer horns. Just like those that used to back up the stars on the classic soul revue shows of the '60s and '70s. The Hawks feature a staggering lineup of Texas musicians, including saxophone player Blue Lou Marini, of the original Blues Brothers Band, Jon Smith and Steve Howard of the White Trash Horns (made famous by their stint with Edgar Winter's White Trash), and guitarist "Cadillac" Jack Calmes and Rich "Soul Man" Kinney. Check out this clip of the band! Allyn recently set off to Dresden, Germany, with an Allstar Cast from New Orleans. 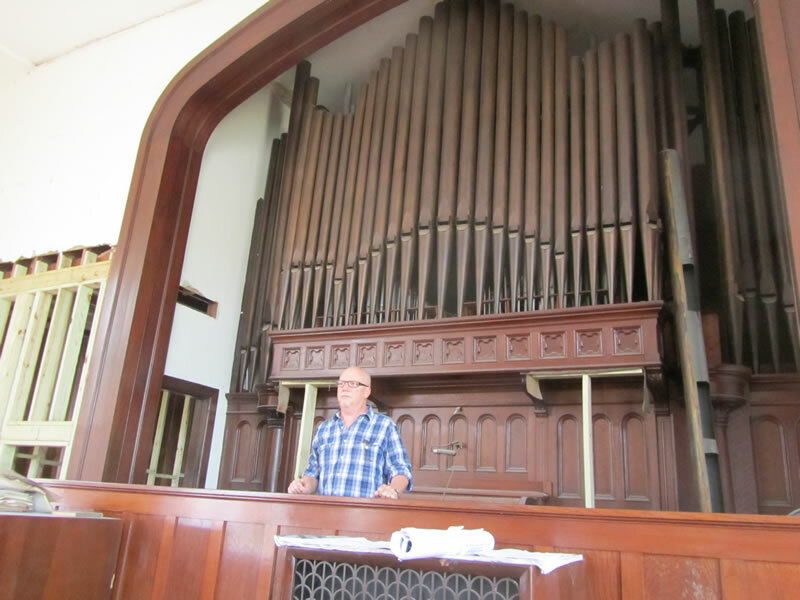 The band included Marc Adams, John Fohl, Benny Turner and Jason Mingledorff. The concert celebrated the 50th Birthday of the Dresden's own Thomas Stelzer, a legendary pianist, singer, arranger, lyricist and songwriter, who is devoted to the sound of New Orleans! A crowd of more than 4,000 enjoyed a wonderful celebration of musical styles emanating from New Orleans, fused with an International spirit of camaraderie. The concert also featured trombonist and British jazz legend, Chris Barber. An incredible night of music! The band finished their tour at the International Bluesrock Festival, a 2-Day festival at the Monastery of Altenzella. Another great show as the ambassadors from the bayou shared their groove with a universal crowd of music fans. A wonderful spirit was in the air! Another classic performance with Allyn Robinson celebrating his 37th Consecutive Year at The New Orleans Jazz & Heritage Festival playing with Luther Kent & Trick Bag. Allyn was kicking the big band with his signature intensity! 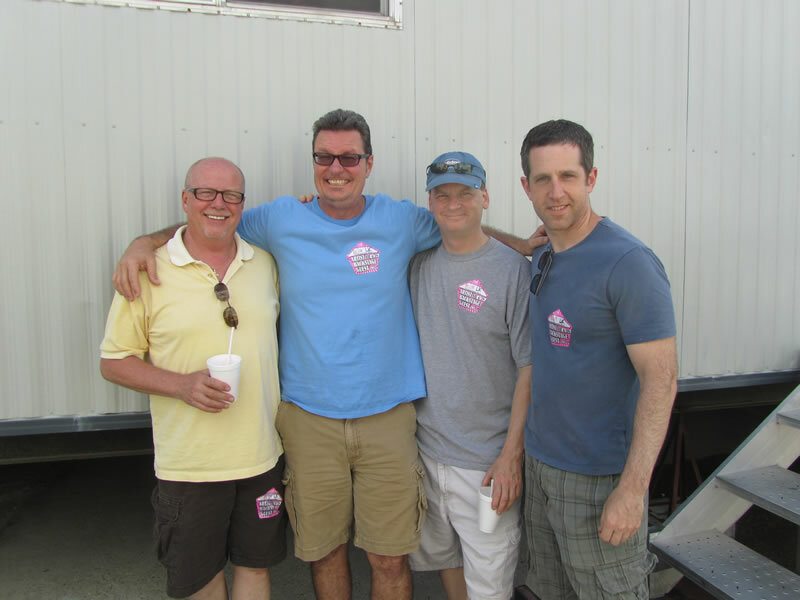 During this legendary run, Allyn has played Jazz Fest with some of New Orleans finest including Luther, Tab Benoit, Allen Toussaint, Big Joe Turner, Andy J. Forrest, Bryan Lee, and Mason Ruffner. Playing kit for Trick Bag is a sweet spot for Allyn and 2014 was no exception. A must see for anyone visiting New Orleans, Luther wowed the crowd with classics like "Night & Day," "29 Ways," "Sick & Tired," "Cross Cut Saw," "Ain't Nothing You Can Do," and "Hey Pocky Way"! As Luther declared to the crowd, "Laissez Le Bon Temps Rouler." Allyn's new CD, Dreams Realized, My Life In Music, made John Swenson's Critics' Picks for 2013's Best Louisiana Music Albums in the January 2014 Issue of OffBeat Magazine! Congratulations to Allyn, Chuck and all the musicians who recorded on or inspired this record. To quote the renowned music sage, Swenson, "These records are all about making art in Louisiana for its own sake." We could not have said it any better and the music speaks for itself - listen to it on Allyn's Reverb Nation page! Click here to see John Swenson's selections and commentary! Allyn will be coming to an internet stream near you to discuss his new CD and play some tracks. Allyn is excited to share his music live and provide some cool insight on the story behind the music and his tribute to Jaco Pastorius, Charlie Brent and Wayne Cochran! October 10, 2013 - On WWOZ New Orleans at 2:30 PM CST with David Torkanowsky and The Blues Ball. Stream it live here! October 22, 2013 - The Lake 94.7 WYLK at 7PM CST w/ Robert Sturcken, The Maestro. Stream it live here! October 23, 2013 - On KLAV Las Vegas at 8PM CST w/ CC Rider Bandmate, Skip Weisser. Stream it live here! October 25, 2013 - On WWOZ New Orleans at 4:15 PM CST with Vin Chary on Jazz From The French Market. Stream it live here! 10.1.13 Allyn Releases NEW RECORD! 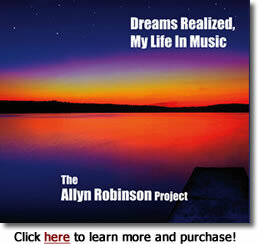 Allyn Robinson is excited to announce the release of his latest record, Dreams Realized, My Life In Music! The new record is a celebration of Allyn's rich musical history and a stirring tribute to Jaco Pastorius, Charles Brent and Wayne Cochran. With a burning 16-piece R&B big band, Allyn takes the listener on a musical journey across the threshold where jazz intersects with soul, funk and rhythm & blues. Allyn brought together some of New Orleans' finest musicians to record an incredible mix of original tunes by bassist and musical director Chuck Archard, as well as some exciting new arrangements of classics by Jaco, Willie Tee, The Gaturs, Dizzy Gillespie and Wayne Cochran and The C.C. Riders. From the opening track, "Amelia," a Jaco composition originally written and performed live with Allyn and the Cochran band in '73, to the Three Views of A Secret inspired, The Final View, this record is...A Dream Realized! 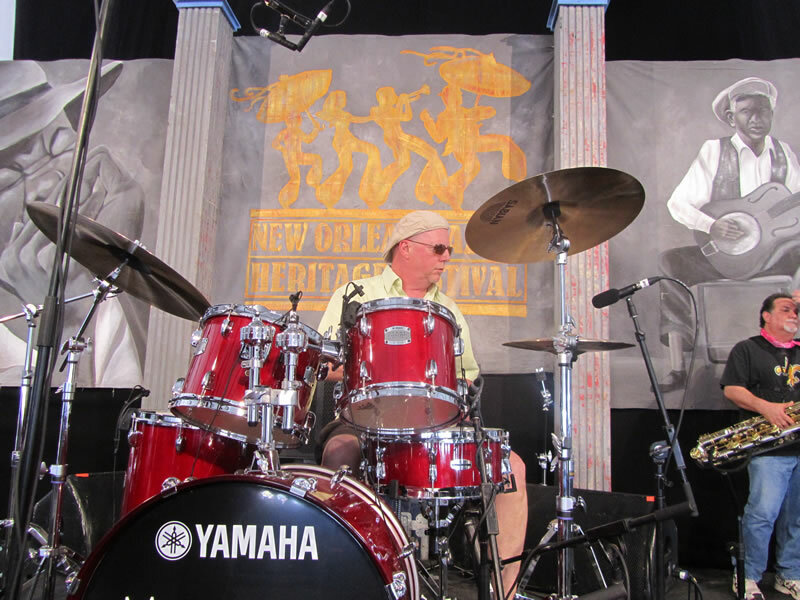 Allyn celebrated his 36th Consecutive Year at The New Orleans Jazz & Heritage Festival playing with Luther Kent & Trick Bag. The band performed on Sunday, April 28, 2013, in the Blues Tent and rocked the crowd on a stormy afternoon. Luther lifted the rain soaked crowd with a burning set of NOLA classics, including "Sick & Tired," "Flip, Flop & Fly," "Cross Cut Saw," "Ain't Nothing You Can Do," "Hey Pocky Way" and "Let The Good Times Roll!" 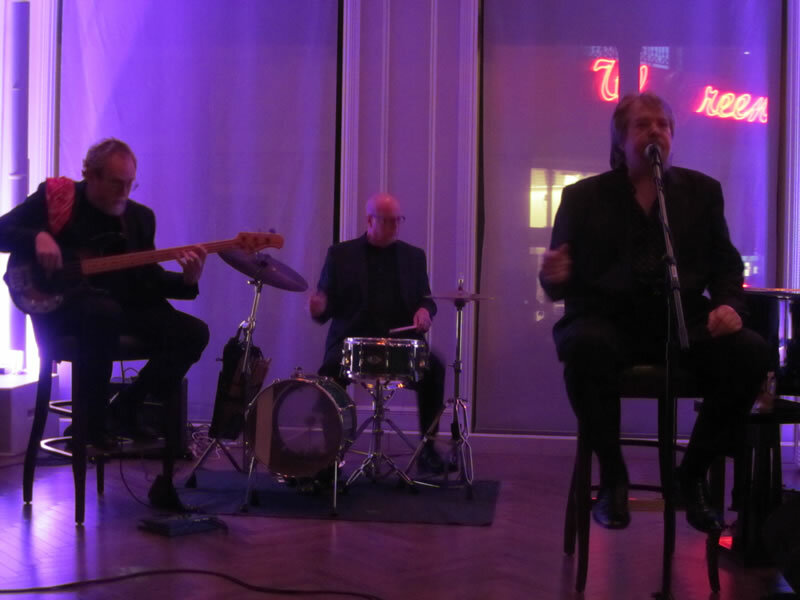 Allyn was kicking the band with his signature intensity, pocket grooves and classic R&B chops. Allyn's Concert and Clinic for Gretna Middle School on Wednesday, April 24, was a smashing success, as noted in this great Times-Picayune Article titled, "Top Gretna Middle School Students Enjoy Jazz Concert." 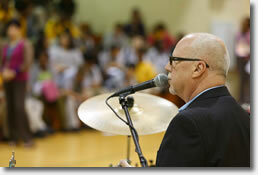 Allyn presented a program entitled, "The Evolution of New Orleans Drumming." Beginning with the Original Brass Bands circa 1870, he provided the students a musical primer on the history of New Orleans drumming, demonstrating various styles essential to the history of New Orleans. 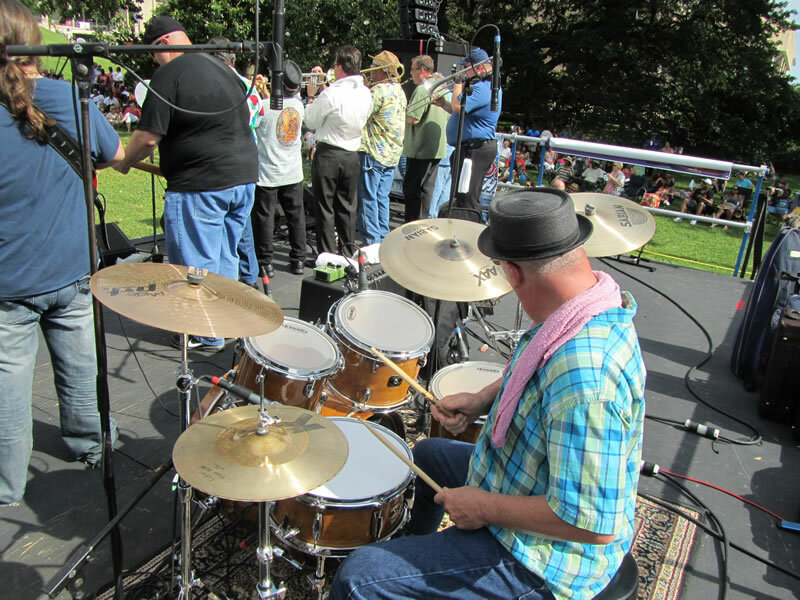 Allyn also paid tribute to some of New Orleans' legendary drummers, including Warren "Baby" Dodds, Earl Palmer and Joseph "Zigaboo" Modeliste. Allyn followed up the concert with a clinic for the band members, providing hands-on instruction. 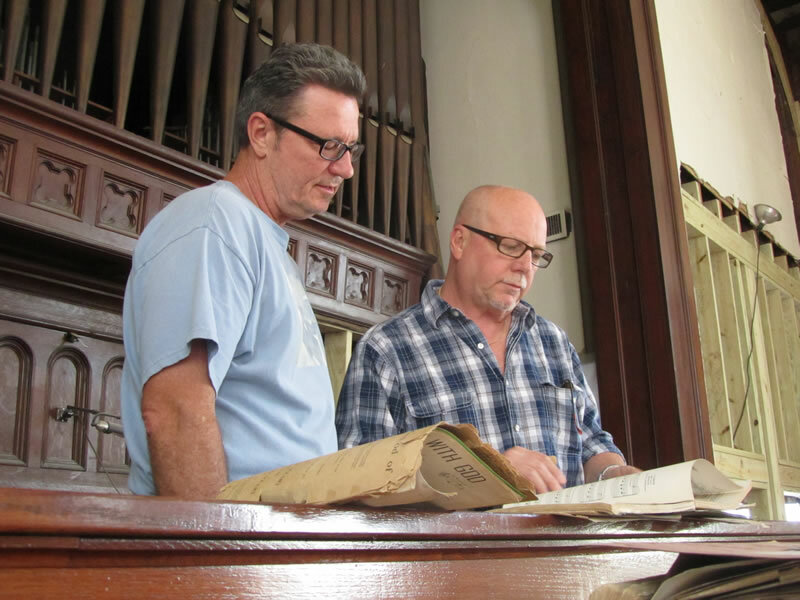 Allyn was joined by a fine cast of musicians, including Jason Mingledorff (Saxophone), Charlie Halloran (Trombone), Anthony Brown (Guitar) and Donald Ramsey (Bass). The program was sponsored by Allyn Robinson and Modified Cha Cha Productions in support of music education in Gretna and the Greater New Orleans Area. Allyn is excited to announce his upcoming concert and clinic for Gretna Middle School Wednesday, April 24, to support the school's band program! Professor Robinson will be presenting a program entitled, "The Evolution of New Orleans Drumming in Relation to Contemporary Music, from the original Brass Bands to Swing, R&B, Funk and Rock'N Roll." Jason Mingledorff, an in-demand saxophonist on the NOLA scene, playing with such bands as Papa Grows Funk and the Ignatius Saxophone Quartet, will be providing the melodic counterpoint to Allyn's journey through drum history! The program will be sponsored by Allyn Robinson and Modified Cha Cha Productions in support of music education in Gretna and the Greater New Orleans Area. 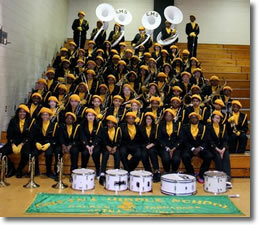 In 2012, the Gretna Middle School Band was the recipient of a New Orleans Jazz & Heritage Foundation Community Partnership Grant in support of the school's jazz band program. Allyn and his team have been working directly with band director, Cheryl Fryer, to build on this momentum. 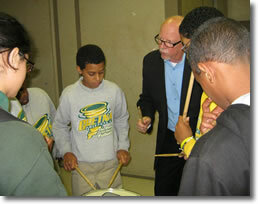 Allyn's program is designed to provide the students a musical primer on the history of New Orleans drumming and to inspire the musicians of tomorrow! In addition to a concert for the school, Allyn and Jason will also be providing hands-on guidance to the band members in a post-concert clinic. For more information about supporting the Gretna Middle School Band Program, send an email to info@allynrobinson.com . Click here to see the progam! Allyn Robinson will be celebrating his 36th Consecutive Year at The New Orleans Jazz & Heritage Festival playing with Luther Kent & Trick Bag. 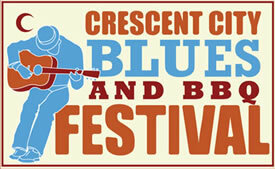 They will be performing on Sunday, April 28, 2013 in the Blues Tent from 2:55-3:55 PM. Luther is the "Prince of Bourbon Street" and an undisputed Louisiana legend. At the 2012 Jazz Fest, Luther and his R&B big band were on fire and had the standing-room-only crowd at a fever pitch when none other than legendary pianist, Allen Toussaint joined the band on stage for an impromptu jam to close the set. Truly Inspiring and a must-see performance! Make sure to stop by the Blues Tent for Allyn's 36th Year at the Jazz Fest! 3.3.13 Prima Fest on March 10! Allyn will be playing at the inaugural Prima Fest with Paul Varisco & The Milestones on March 10, 2013 from 4:40 to 6:30 PM. The Prima Fest is in honor of legendary New Orleans singer and trumpeter Louis Prima and is set for March 7-10 at the Mississippi River Heritage Park. Admission will be $10. The event is an Italian-Heritage Festival with Great Food & Music and will feature over 18 different bands, including Lena Prima (Louis' Daughter)! Louis Prima swung his way to icon status thanks to an irresistible, infectious sound whose appeal translated across generations. Prima's distinctive sound encompassed New Orleans-style jazz, boogie-woogie, jump blues, R&B, early rock & roll, and even the occasional Italian tarantella! See www.theprimafest.com for more details. Allyn is back at it with Luther Kent and The Forever Fabulous Chickenhawks for two shows in Dallas, Texas. Founded in 1980, The Chickenhawks are perhaps the last and the best of an endangered breed; a 16 piece soul-blues-R&B powerhouse band with killer horns. This band is reminiscent of those that used to back up the stars on the classic soul revue shows of the '60s and '70s. The Hawks feature a staggering lineup of Texas musicians, including: saxophone player "Blue Lou" Marini (of the original Blues Brothers Band), Jon Smith and Steve Howard of the White Trash Horns (made famous by their stint with Edgar Winter's White Trash), and guitarist "Cadillac" Jack Calmes and Rich "Soul Man" Kinney. Dan's Silverleaf (Denton, TX) - Friday, Feb 22, Show 9:00 pm. Poor David's Pub (Dallas, TX) - Saturday, Feb 23, Doors 7:30 pm. Allyn Robinson will be celebrating his 36th Consecutive Year at The New Orleans Jazz & Heritage Festival playing with Luther Kent & Trick Bag. 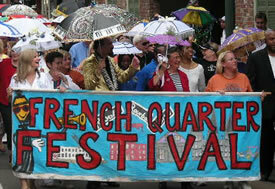 Jazz Fest organizers recently announced the lineup for the 2013 Festival scheduled for April 26 to May 5, 2013. Luther Kent & Trick Bag will be performing on Saturday April 28, 2013. The show times have not been released so stay tuned as information is updated. Make sure to mark your calendar and come on down for Allyn's 36th Year at the Jazz Fest! 1.10.13 The Allyn Robinson Project - New CD Project Kicks Off! Riding a wave of success from his first CD, Allyn recently assembled an all-star cast of New Orleans musicians to begin recording his 2nd CD! 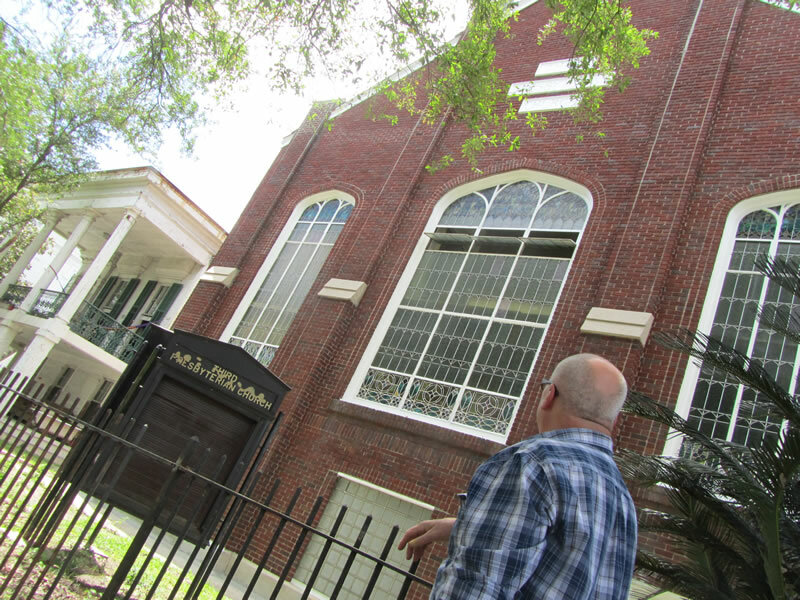 On January 7, Allyn gathered his 16-piece band at Axistudio in New Orleans to record the first six tracks, including: Amelia (Jaco Pastorius), Somebody's Been Cuttin In On My Groove (Wayne Cochran), Can It Be Done (Willie Tee), So Long Dixie (Blood, Sweat and Tears), and two killer originals by bassist Chuck Archard. Allyn's session band included Bobby Campo, Barney Floyd, A.J. Pittman, and Jimmy Weber on Trumpets; Jeff Albert, Greg Hicks, Rick Trolsen, and Evan Conroy on Trombones; Don de la Houssaye, Jason Mingledorff, Ray Moore, and Ward Smith on Saxophones; Mike Esneault on Piano; Cranston Clements on Guitar; Chuck Archard on Bass; Mark Campbell on Vocals; and Misha Kachkachishvili as Sound Engineer. The sessions were intense and the rough cuts sound great. Allyn is thrilled with the tracks and can't wait to head back into the studio in June 2013 to complete the CD. Allyn would like to send a special "thank you" to all the players and to Misha and his team for a supreme effort. The relaxed intensity was perfect for these tracks and the chemistry was clearly evident. Stay tuned for pre-release highlights and news updates on the project. Whether he is in the drum chair or in the kitchen, Allyn likes to keep it Clean, Simple and Fresh! These tenets have been the foundation of his life's work, as both an ace musician and a master chef. Allyn has been serving up great food for over 30 years and is excited to announce the release of one of his recipes in the new WWOZ Cookbook, That Sounds Good! Readers will enjoy a collection of recipes drawn from WWOZ's Louisiana music community as well as a history of the station's 30+ years, and images from WWOZ's past, like logos, photos, and even an old program schedule. 10.11.12 Lousiana Seafood Festival and Bridge City Gumbo Festival October 14! Allyn will be playing with blues guitarist Danny Alexander at the Bridge City Gumbo Festival on Sunday October 14, 2012 at 1:30 PM. The show will take place at the Gumbo Festival Park, Angel Square, 1701 Bridge City Ave., Bridge City (on the West Bank, directly across the Huey P. Long Bridge from New Orleans). Get your day started with some great jam and a taste of chicken-and-sausage or seafood gumbo, jambalaya, and red beans and rice and then head down to the Louisiana Seafood Festival for a 2nd helping of great drumming and killer crustaceans. The festival starts Oct. 12, from 6 to 11 p.m.; and continues Oct. 13, from 11 a.m. to 11 p.m.; Oct. 14, from 11 a.m. to 10 p.m. Oct. 14. Check out the line-up here! 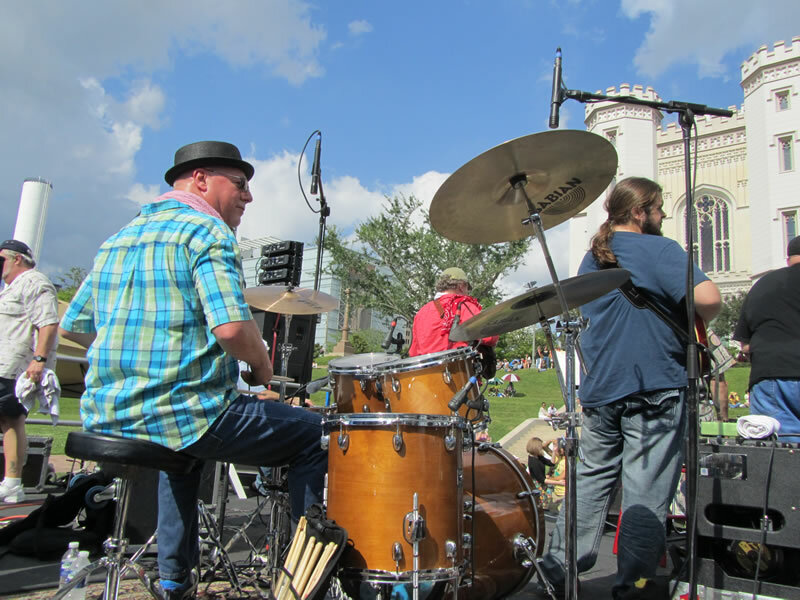 Then, at 6:30 p.m., Allyn will be playing with Paul Varisco and the Milestones with Luther Kent at the Louisiana Seafood Festival on the Miller Lite Stage at Woldenberg Riverfront Park. Other artists include Papa Grows Funk, George Porter Jr., Cyril Neville and many more. Check it out at here! Come on down for some great music and New Orleans most famous cuisine - oysters, crawfish, shrimp, baked, steamed, simmered or grilled. Tempt your palate with the cuisine that Louisiana loves best. The Seafood Festival takes place Oct. 12-14 at New Orleans' Woldenberg Riverfront Park. Admission is free! Allyn will be playing with Luther Kent & Trick Crescent City Blues & BBQ Festival on Friday October 12, 2012 at 5:30 PM on the St. Charles Stage. The band will be fresh from their Gretna Fest performance and laying down another stellar dose of Luther Kent and his big band blues groove. Put this on your calendar for a great evening of music. Other acts on the 3-day festival include Keb Mo, Clarence Carter and Latimore, Sugar Blue, Li'l Buck Sinegal, Miss Lavelle White, and Otis Clay (backed by the Memphis-based Bo-Keys). The 7th Annual Crescent City Blues & BBQ Festival, presented by the New Orleans Jazz & Heritage Foundation, celebrates Southern soul with the best in local and international blues and R&B talent, plus the greatest assemblage of home-style barbecue to be found in New Orleans. It takes place Oct. 12-14 at New Orleans' Lafayette Square Park. Admission is free! Two legendary New Orleans Drummers, Johnny Vidacovich and Allyn Robinson, and two electrifying Bass players, Charlie Wooton and Carl Dufrene, explored the GALAXY OF GROOVE at the Blue Nile in New Orleans on September 8, 2012. This rare pairing of local luminaries proved to be a rhythm-section groovefest like no other. We captured the performance and it was slammin. We will be posting video and audio in the near future. Come back soon to check it out! The Allyn Robinson Project CD, Full Circle, received a review by John Swenson in New Orleans OffBeat Magazine in the September 2012 Issue. The review provides a nice background on the CD and hits on several great themes, noting that Allyn and the band should be "justifiably proud of the outstanding playing on this record." We are grateful to OffBeat and John Swenson for taking the time to review the CD and look forward to presenting our follow-up in 2013! 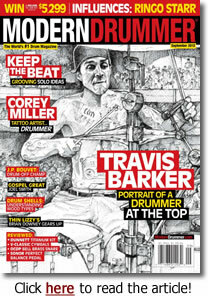 Allyn was featured in the September 2012 Issue of Modern Drummer magazine. The article provides a wonderful retrospective on Allyn's career, including a discussion of his close relationship with Jaco Pastorius and perspectives from Peter Erskine. Allyn would like to thank Cleve Warren and the whole team at Modern Drummer for their work on this article. Allyn celebrated his debut as a band leader with the official release of his new CD, Full Circle. His 11-piece big band dished out an explosive mix of New Orleans infused R&B and Funk. Allyn was joined by an esteemed group of New Orleans' finest musicians including: Greg Villafranco (organ & vocals), Janet Lynn (vocals), Cranston Clements (guitar), Mike Esneault (keyboards), Chuck Archard (bass), Jimmy Weber (trumpet), A.J. Pittman (trumpet), Ward Smith (saxophone), Don de la Houssaye (saxophone), Mike Genevay (trombone). Allyn Robinson celebrated his 35th consecutive year at the 2012 New Orleans Jazz & Heritage Festival playing with Luther Kent & Trick Bag. 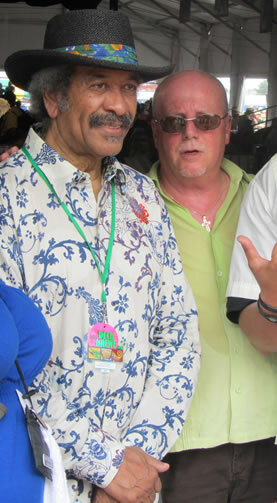 During the Blues Tent show, New Orleans keyboard legend Allen Toussaint jumped on stage and jammed with the band! It was an amazing moment. Additionally, Allyn appeared with Luther for several shows at the Hotel Monteleone - and also at the Baton Rouge Blues Festival! With temperatures soaring above 90 degrees, Allyn and the band used fans and wet towels to stay cool during their set. But...the music was still burning! 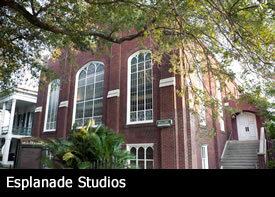 During the week, Allyn visited the site of the new Esplanade Studios in New Orleans. 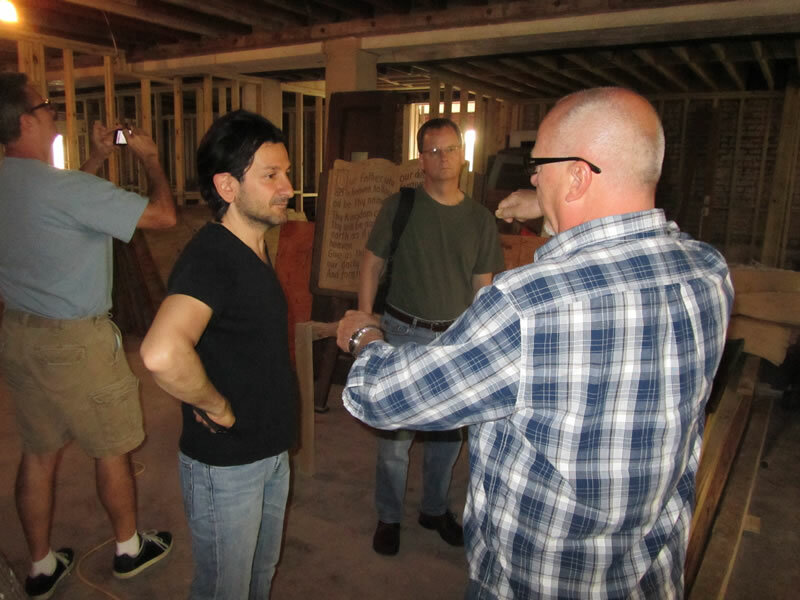 Axis Studio owner Misha Kachkachishvili is building a new state-of-the-art studio in the former Third Presbyterian Church on Esplanade Avenue! Click on the photos, below, to enlarge. We'll post video soon on the media page! Allyn performed with long-time bandmate and legendary Harmonica & Frattoir player, Andy J Forest, and his NOtown Band yesterday at Woldenberg Park-Absolut Stage. 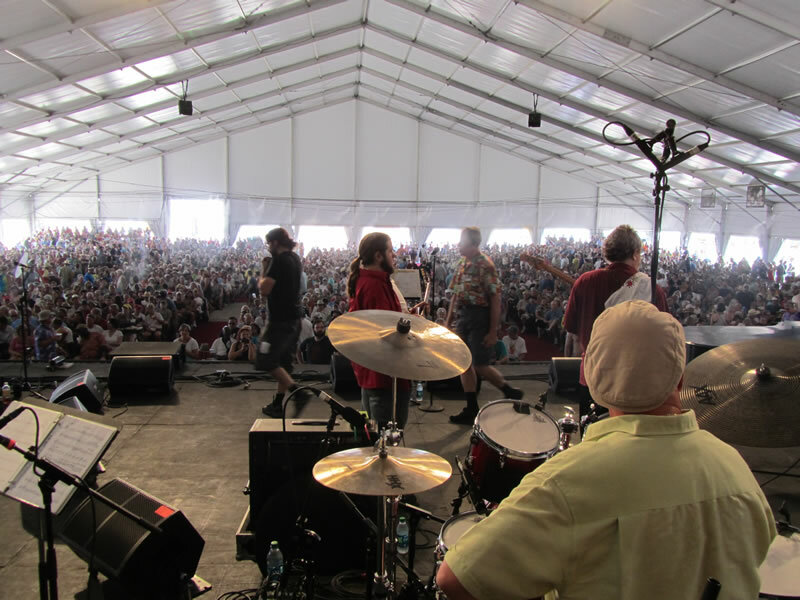 The French Quarter Festival is a free, four-day festival with more than 22 stages, 800 local musicians, 250+ hours of free music, and more than 500,000 attendees. Allyn played alongside an incredible line-up of bands including The Royal Southern Brotherhood with Cyril Neville, Don Vappie and the Creole Jazz Serenaders, George Porter, Jr. and his Runnin' Pardners, Papa Grows Funk, Gina Brown & Anutha Level, Rebirth Brass Brand, Troy "Trombone Shorty" Andrews and Orleans Avenue, Walter "Wolfman" Washington, Irvin Mayfield and the New Orleans Jazz Orchestra, Jeremy Davenport, Soul Rebels, Amanda Shaw and the Cute Guys, and Don Vappie & the Creole Jazz Serenaders. 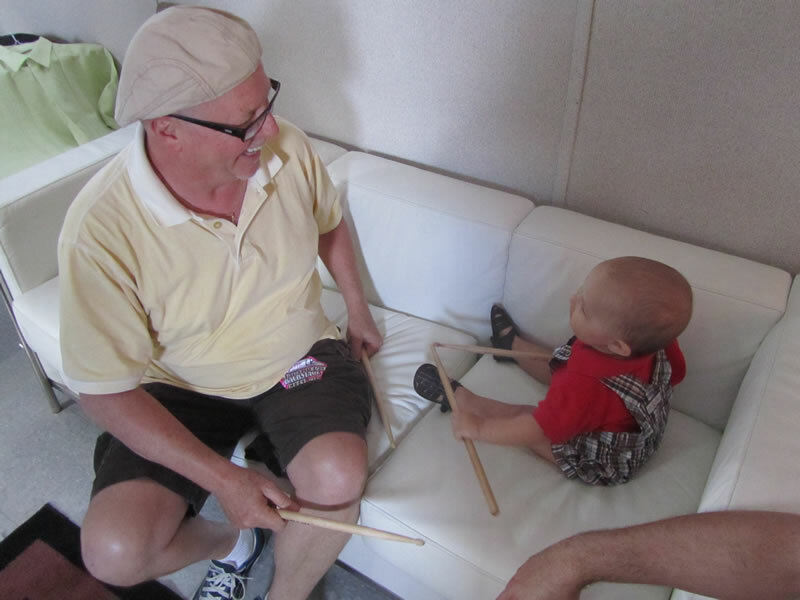 Allyn continues to expand his social media presence with the launch of his new Twitter Feed: @drumncook. 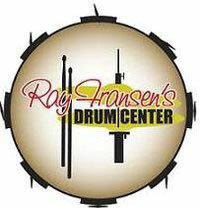 Now, you can follow Allyn and his drumming adventures on Twitter - and possibly pick up some recipes from the master! Allyn was Robert Sturcken's radio guest on "Nightlife and Music with the Maestro" on The Lake 94.7 FM. Allyn discussed his new CD and storied career. Click here to listen! 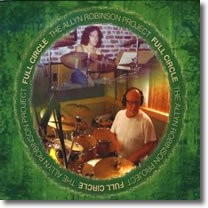 Full Circle, is the first release from the Allyn Robinson Project on Modified Cha Cha Productions. The CD features a host of great musicians, including: Harry Henry Hann (guitar/vocals), Chuck Archard (bass), Chris Rottmayer (keyboards), Randie Paul (vocals), and many more. Click here to download the tracks from Amazon! Allyn was interviewed "live in the studio" by legendary Blues Disk Jockey Bob Putignano on WFDU NYC. Click here to listen to Allyn's interview. Bob's show, "Sounds of Blue," is an incredible mix of great blues/groove music and runs from 9:00 AM to 1:00 p.m. It runs on Monday and Wednesday mornings, a wonderful Internet treasurer for your ears! Stream on music fans! 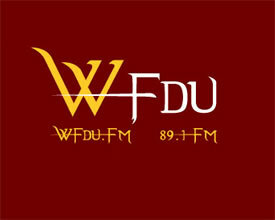 Click here to learn more about WFDU. The Allyn Robinson Project has a new Facebook page here. Make sure to hit the "like" button and so you can join the conversation! Allyn hosted a 2-day career retrospective, master class and concert at Rollins College in Winter Park Florida on October 16 & 17. Some areas Allyn covered: his years growing up and playing in New Orleans, his life-changing tenure with Wayne Cochran and The C.C. Riders, his musical partnership with legendary electric bassist Jaco Pastorius, and his recent recording projects. Allyn showcased his 2011 recording Full Circle, a compilation of classic R&B and New Orleans grooves. The Rollins concert featured two esteemed alumni from the Wayne Cochran band: Allyn and guitarist Harry Hann, plus musical arranger and bassist, Chuck Archard. In the July/August 2011 edition of Saxophone Journal, Allyn joins Jason Mingledorff to provide some drum tracks for his Masterclass CD on Classic New Orleans Grooves. The Masterclass is an introduction to some of the prevalent grooves that continue to be popular in New Orleans today. Volume II of the article appeared in the January/February 2012 edition. Learn more here. Click the icons, below, to learn more!